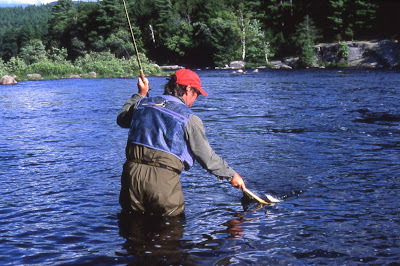 Just mention the words “West Branch” to a Maine fly fisherman and he knows you are talking about the West Branch of the Penobscot. 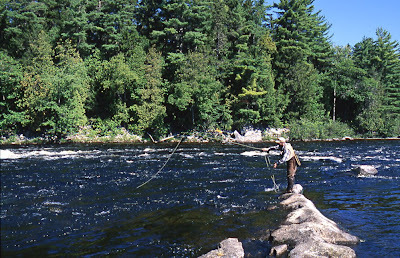 One of Maine’s premier land locked salmon fisheries, the west branch of the Penobscot is also one of Maine’s most beautiful and rugged rivers. 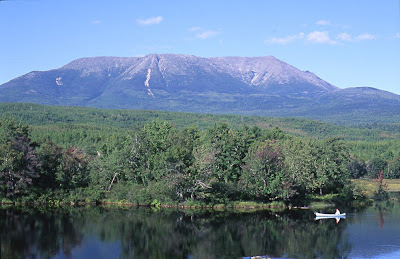 Mount Kathadin, Maine’s largest mountain , stands like a sentinel overlooking the river. Driving along the Golden Road and catching your first glimpse of Kathadin will quicken your heart beat, you are in God’s country. 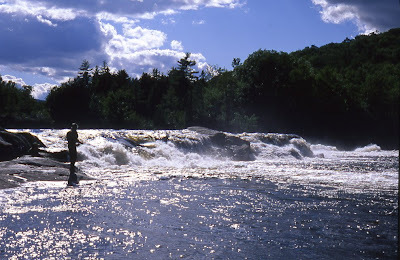 The West Branch is a big, brawling river in a hurry to get downstream. 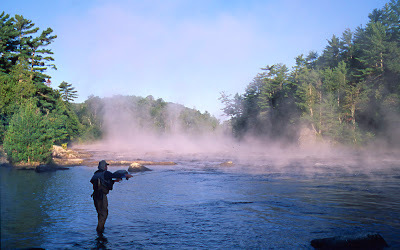 The river is peppered with class IV and class V rapids, the crib works below the Telos Bridge are something to behold. 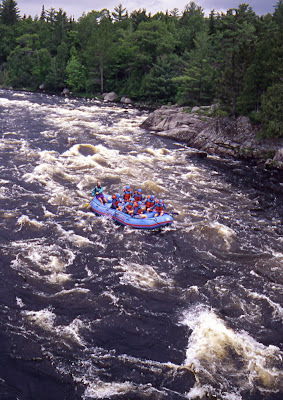 All this fast water and rapids bring rafters. Whitewater rafting is big business on the west branch, somehow rafters and fishermen peacefully co-exist here. The spectacle of a raft full of teenagers crashing down the river can provide an entertaining break in an afternoon’s fishing. 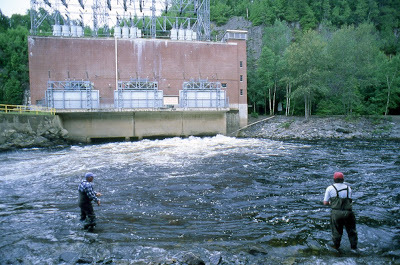 This is McKay Power Station, below the Gorge, this pool can give up some very nice Salmon. 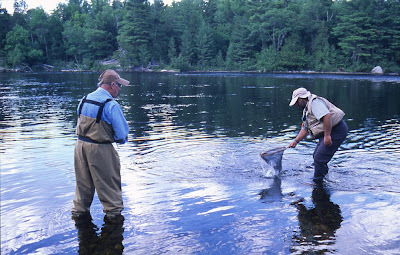 It can be fished from either shore, Where these anglers are fishing requires a bit of a hike and a climb down a fairly steep drop. 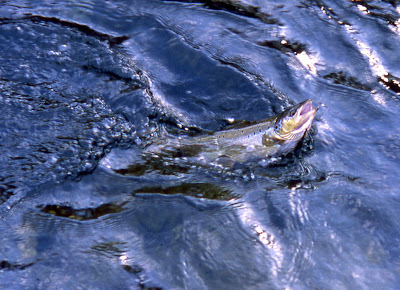 Smelts can be swept through the turbines and dumped, dazed, into the out flow where large salmon await their arrival. I used to fish here a lot when I was a younger man, nowadays I leave it for the younger guys. A word of caution, flows from the power station can raise the water level very quickly here, if you hear the sirens you’d better get out of there pretty quick. 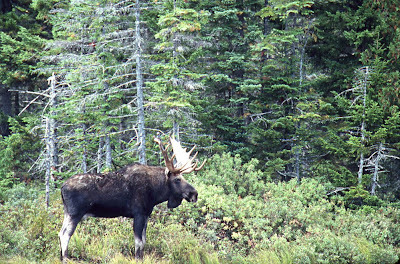 As I mentioned, the west branch attracts not only fishermen but occasional beautiful young ladies. 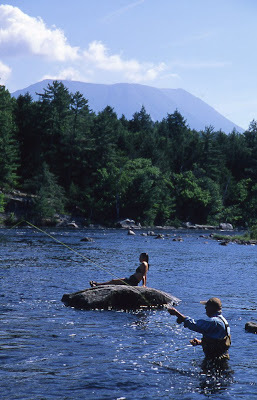 Here an angler tries to concentrate on fishing while a young lady relaxes on a rock at Sourdnahunk Falls. 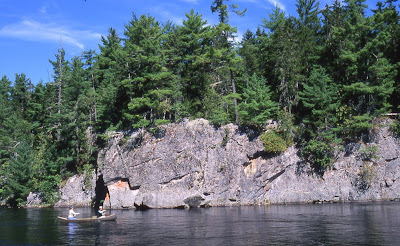 This is the ledge above Holbrook Pool, this is a very good spot for drifting a nymph or floating a dry fly. 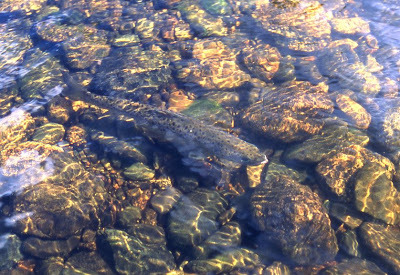 salmon lay in the glassy pocket water behind rocks. Another view of Sourdnahunk Falls, This is a spectacular and beautiful pool, a nice pebble beach and good riffles and pocket water downstream. A good pool to swing a wet. This is me a hundred years ago, in a nice baby blue wading vest, what was I thinking? And this is what brings us here, beautiful land locked salmon.